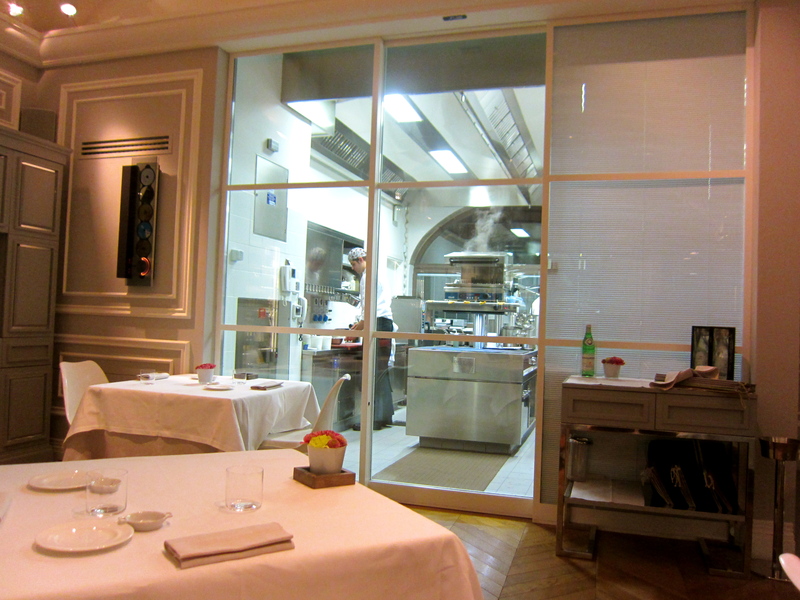 I first went to Ristorante Ora d’Aria in 2012 right after the restaurant received its first Michelin star. 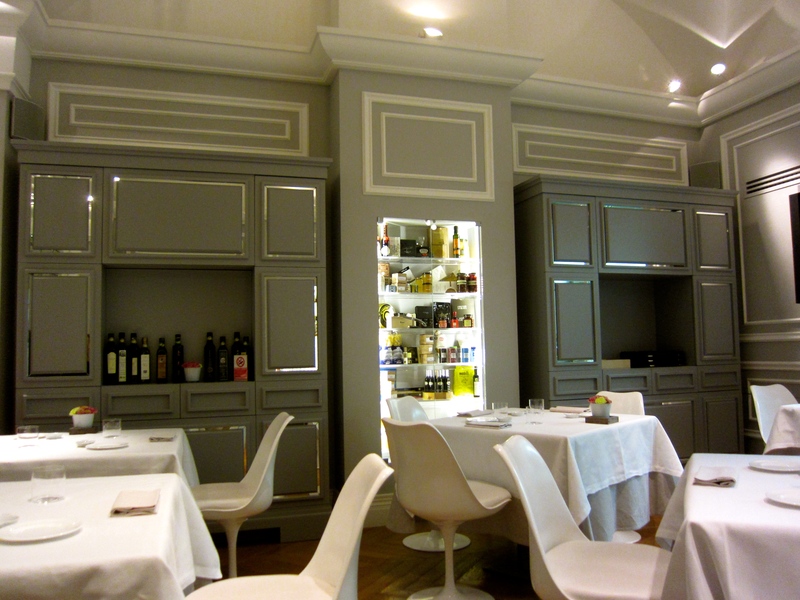 I was excited because I had been living in Florence for about six months and still hadn’t had a fine dining meal here. The restaurant is tucked away in a small alley right near Piazza Signoria, one of the main piazzas in Florence. I went there with three other foodie friends and we decided to half of us would get the fish tasting menu and the other half would get the meat tasting menu in order to try as many dishes as possible. View of the Open Kitchen. 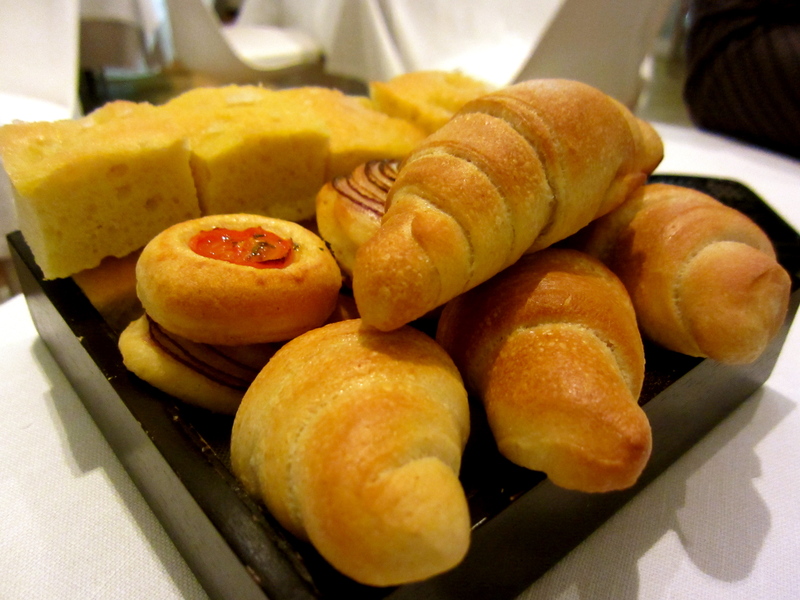 Delicious Assortment of Breads (7/10). 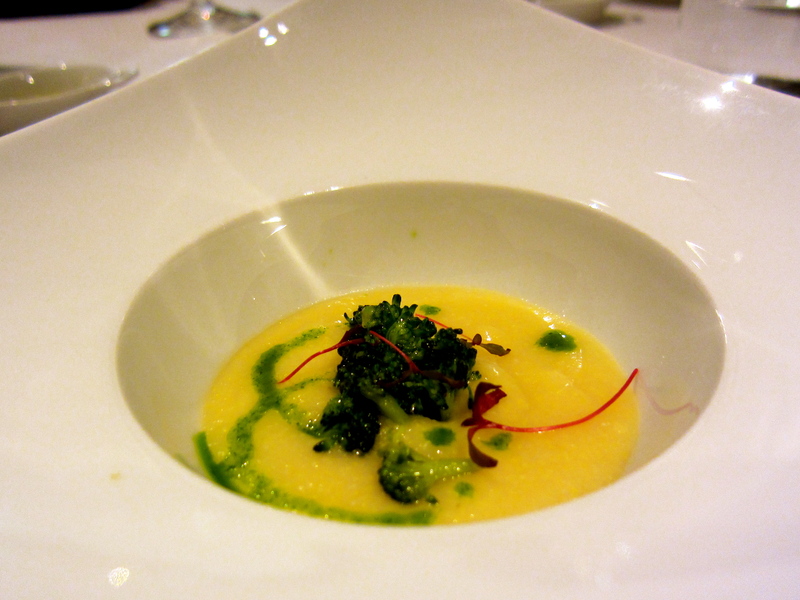 Amuse Bouche: Cauliflower Polenta and Broccoli (6/10). Braised Tripe and Baccalà with Celery Root and Chickpea Purée (7/10). Poached Egg, Shredded Chicken, Liver Pâté, and Caviar (7.5-8/10). Fried Spring Tortelli with Sweet Bell Pepper Sauce Topped with Creamy Cheese (8.5/10). 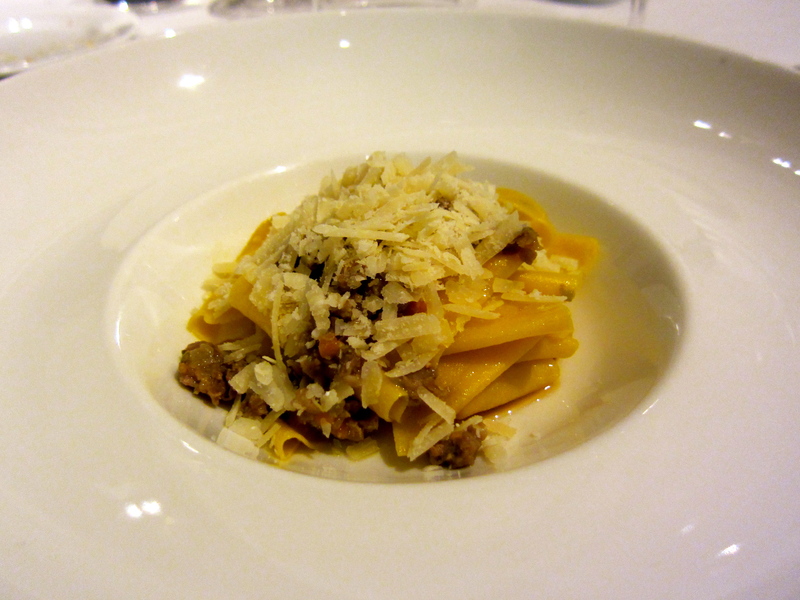 Pappardelle with Finocchiona Ragù and Vin Santo Braised Onions (8/10) . 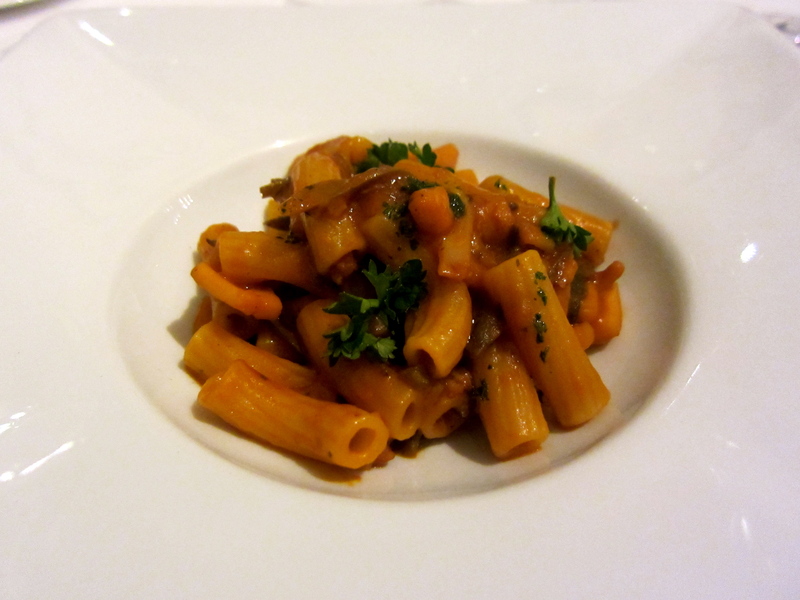 Maccheroni with Ragù of Calamari (7/10). Ossobuco Risotto with Bone Marrow and Gremolata (8/10). 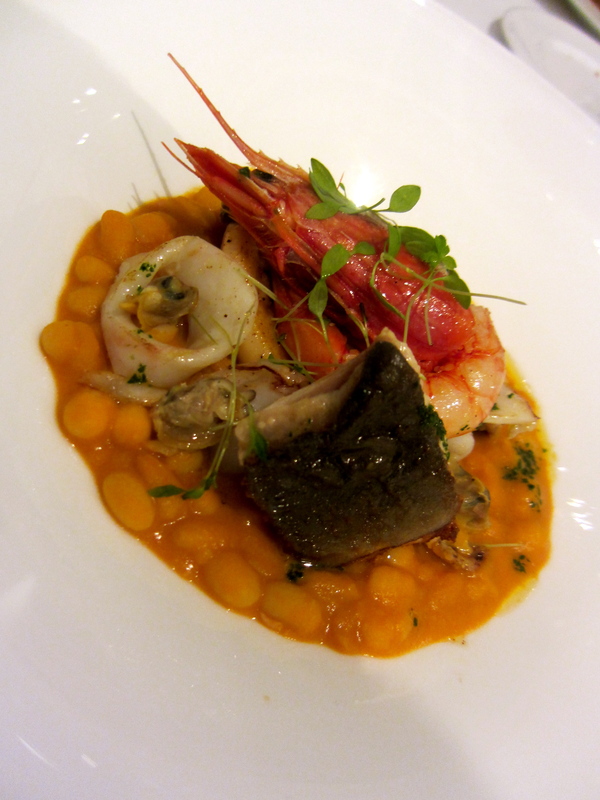 Mixed Seafood with Beans (7/10). 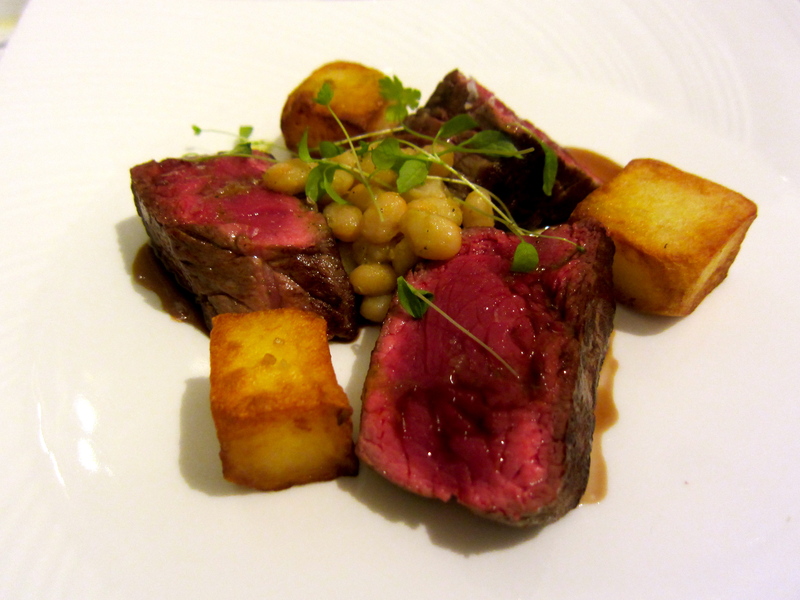 Beef Tagliata with Roasted Potatoes and Zolfini Beans (8/10). 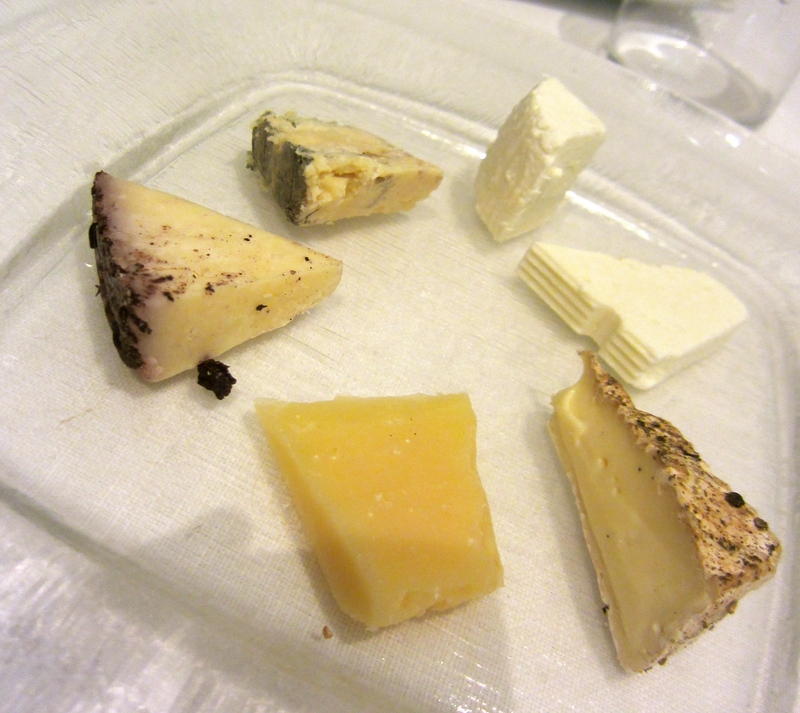 As this was my first fine dining experience in Florence, I was pleasantly surprised and quite satisfied with the entire meal (7.5-8/10). All the food was plated elegantly and the flavors were spot on. 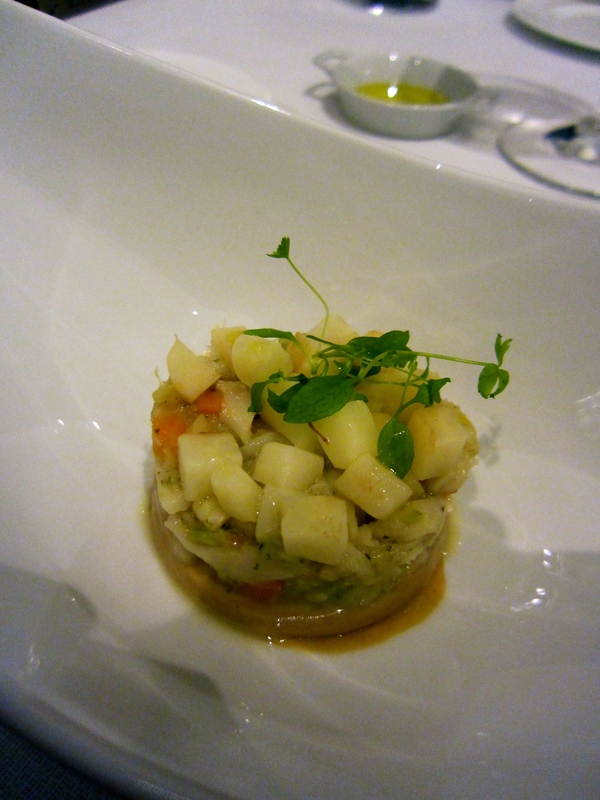 My favorite dishes of the night were the fried spring tortelli and the ossobuco risotto. 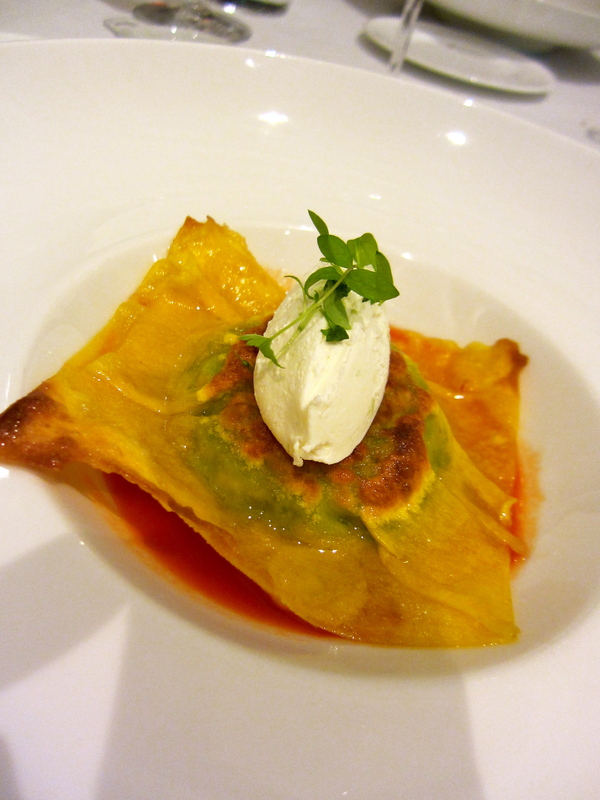 The fried spring tortelli was stuffed with fresh green peas served with a sweet red bell pepper sauce and tangy goat cheese. 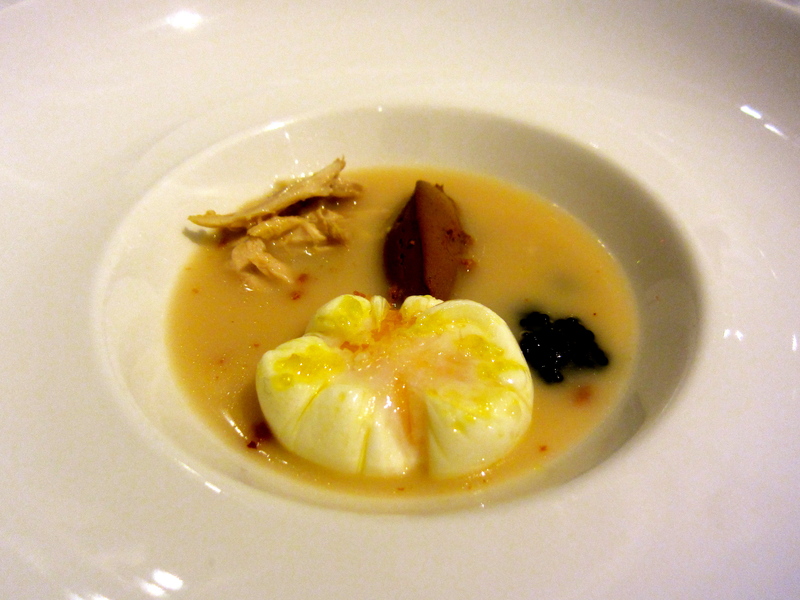 The crunchy tortelli accompanied by the creamy cheese was texturally excellent. 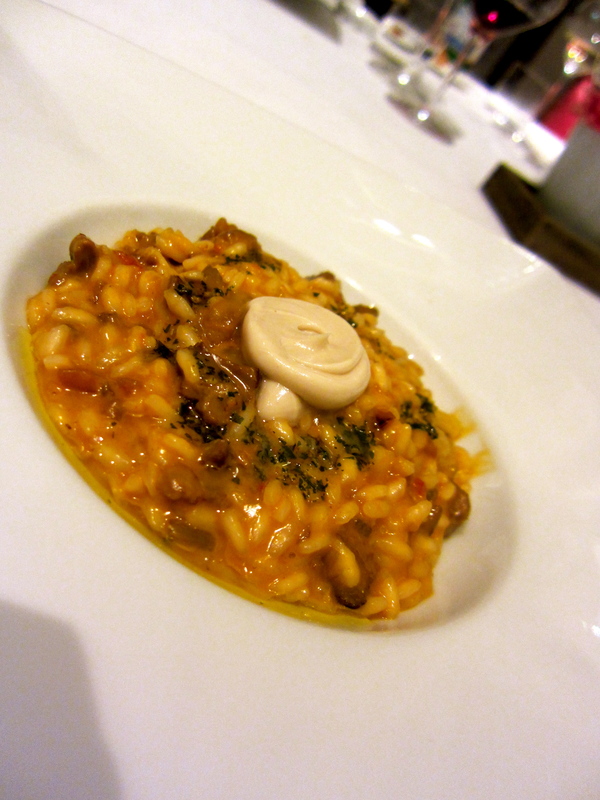 The ossobuco risotto was cooked to al dente perfection yet still creamy and luscious. 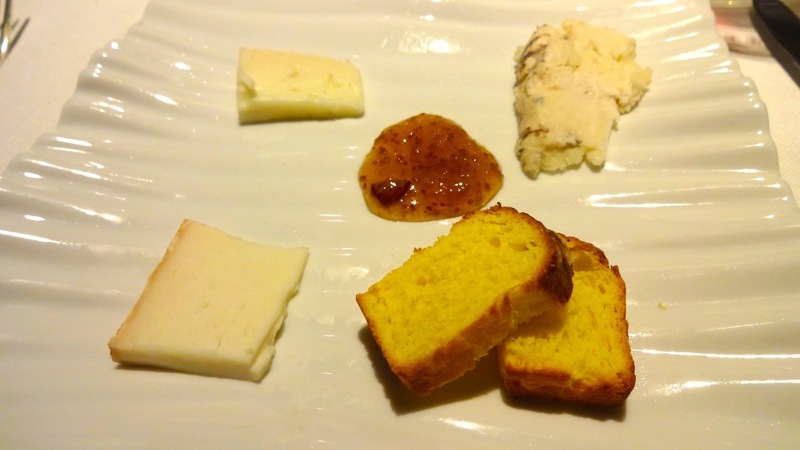 The dish was served with a bone marrow cream which was a cool modern take on the traditional Milanese dish. Since I enjoyed my first experience here, I decided to go back in 2013 with my boyfriend and my father. On this occasion, we also ordered both the fish and meat tasting menus. 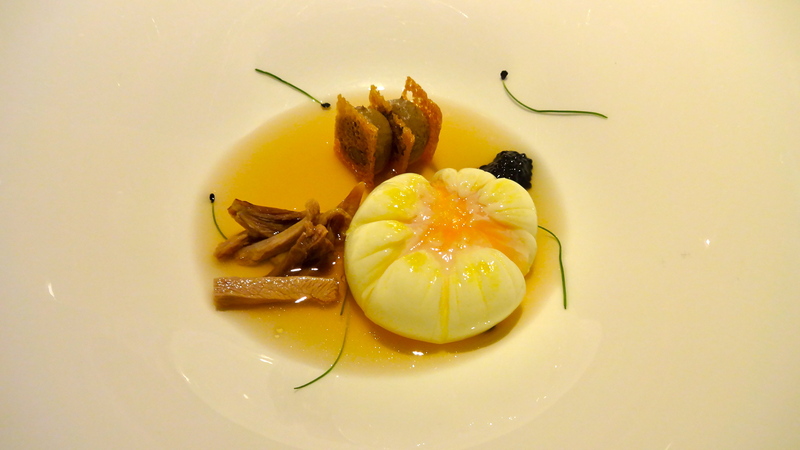 Their Signature Dish: Poached Egg, Shredded Chicken, Liver Pâté, and Caviar (7.5-8/10). 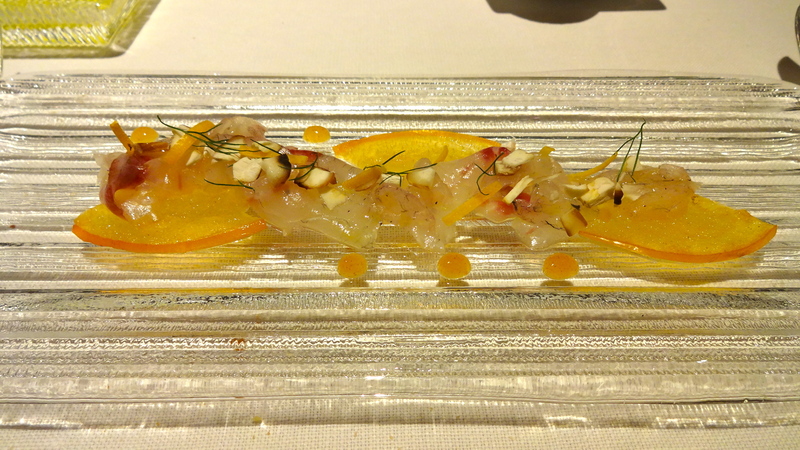 Marinated Sea Bass Sashimi with Persimmon, Orange Scent, and Chestnut Crumble (8/10). Roasted Scallop with Caramelized Onion Cream and Bitter Foam (7.5/10). 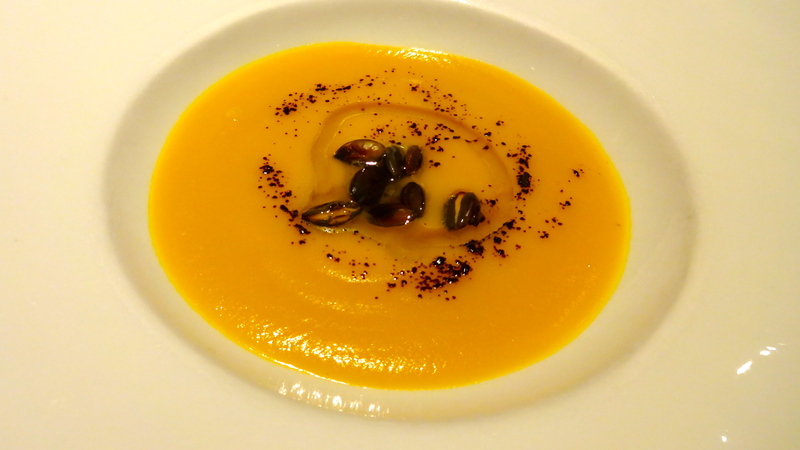 Pumpkin Cream with Roasted Seeds, Licorice Powder, and Orange (7/10). 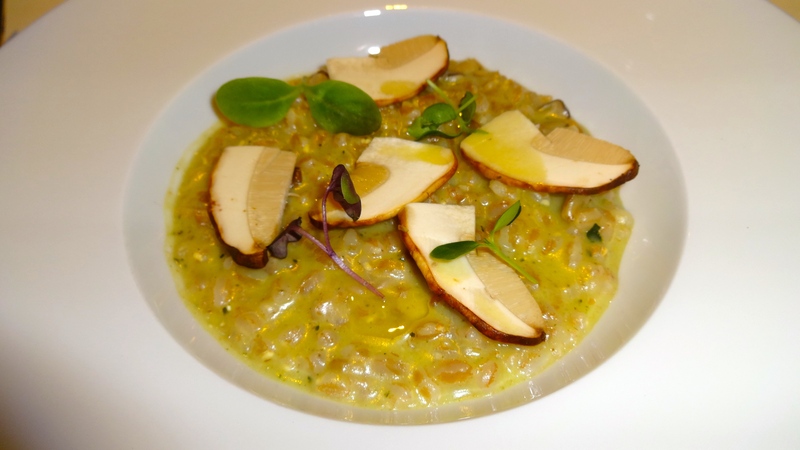 Risotto of Farro, Herb Pesto, and Mushrooms (7/10). 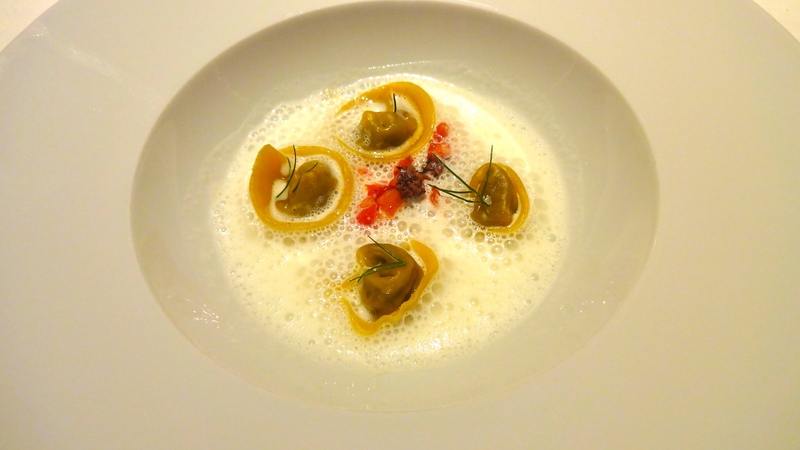 Game-filled Tortellini with Tomato Confit, Taggiasche Olives, and Parmigiano Reggiano Cheese Foam (8.5/10). 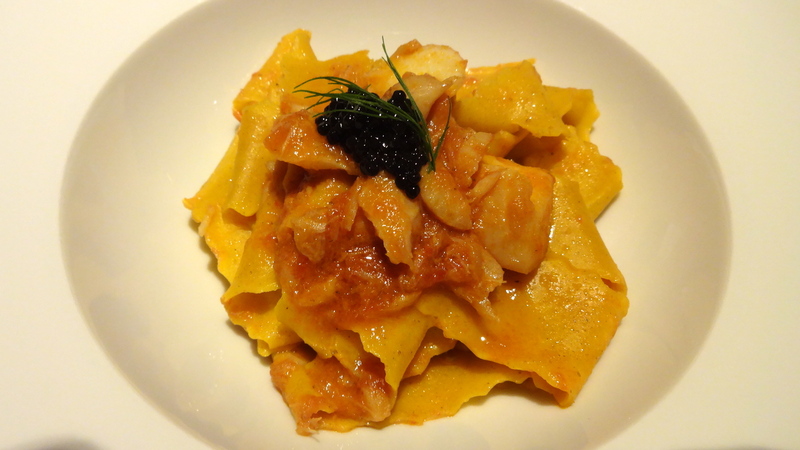 Pappardelle with Cod and Black Truffle (6.5/10). 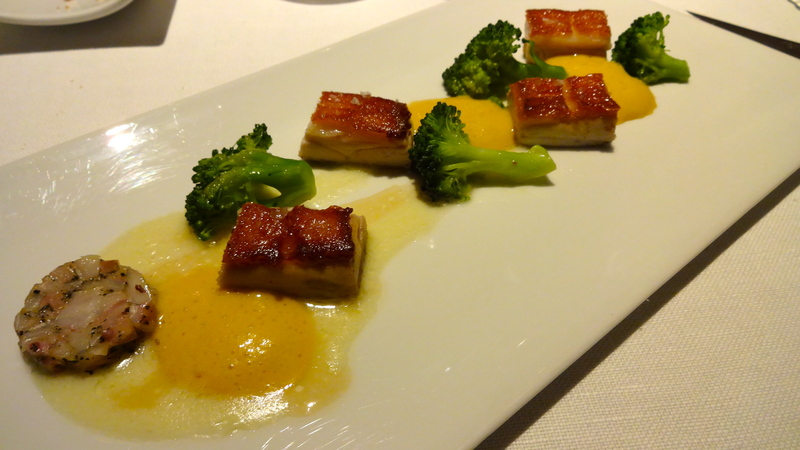 Soft but Crispy Suckling Pig with Broccoli, Vin Santo Zabaione, and Lavender (7/10). 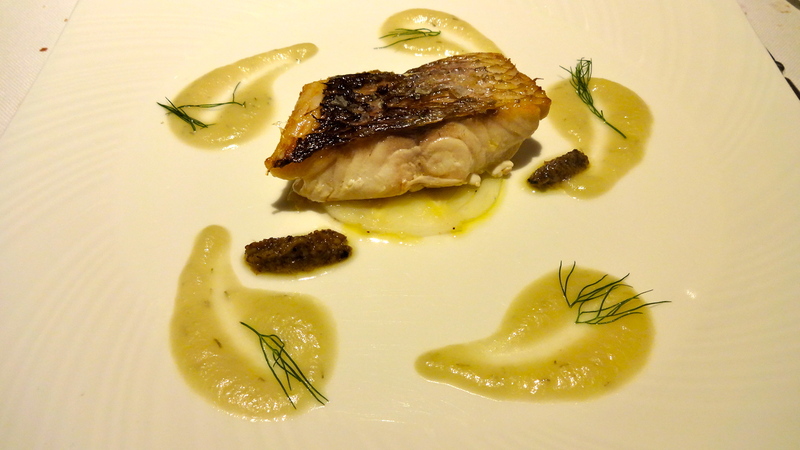 Roasted Dourade Fillet with Compressed Fennel, Dill, and Black Truffle (6/10). 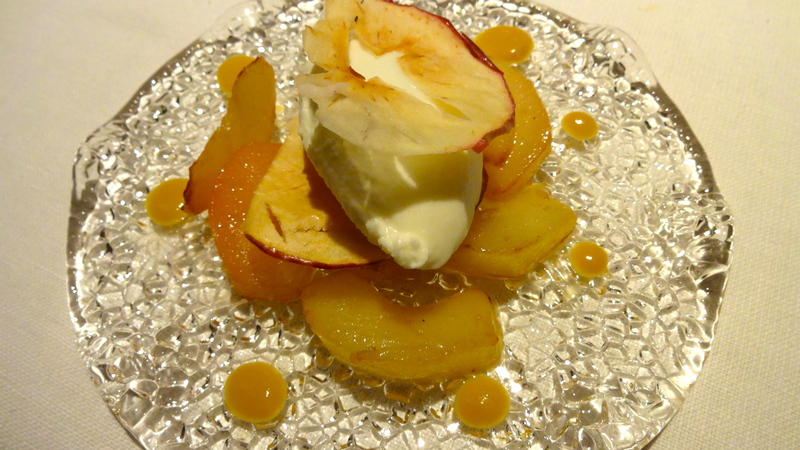 Apple with Cinnamon Ice Cream (8/10). 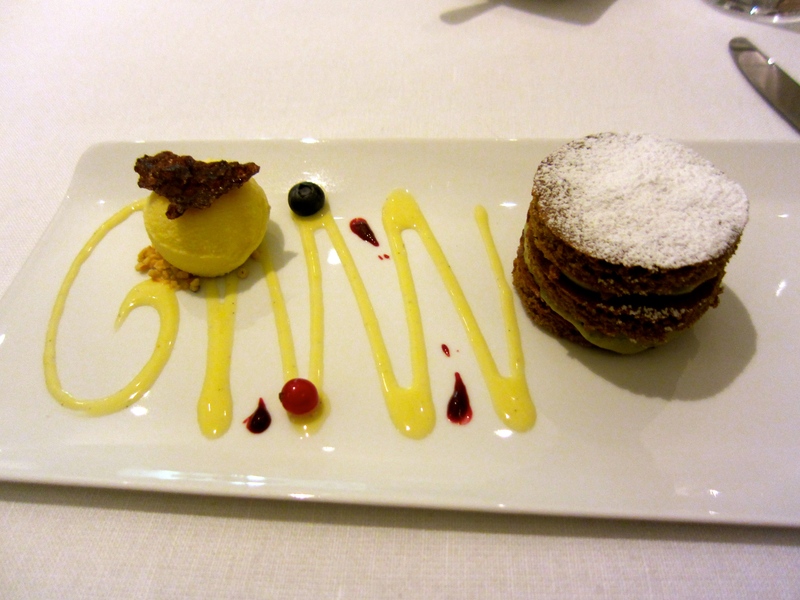 Their Version of Tiramisu (8.5/10). 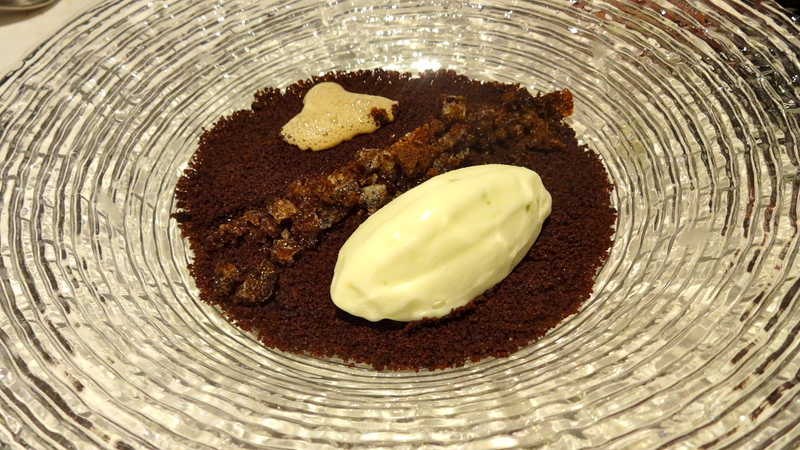 Cocoa Experience with Lime Ice Cream (7/10). My second experience here was yet another success (7.5-8/10). Both my boyfriend and my father enjoyed their first experience eating here. Everything was once again beautifully presented and tasted delightful but this time I felt the dishes were slightly more innovative and creative. Highlights for this meal were the tortellini and the tiramisu. The game-filled tortellini, perfectly al dente, were excellently crafted. 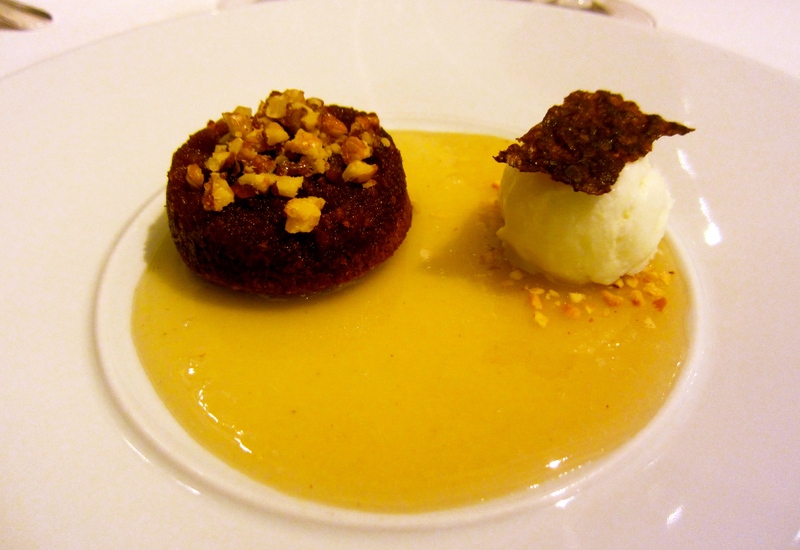 It was served with sweet tomato confit and salty Parmigiano Reggiano cheese foam which were the right accompaniments with the meaty tortellini. 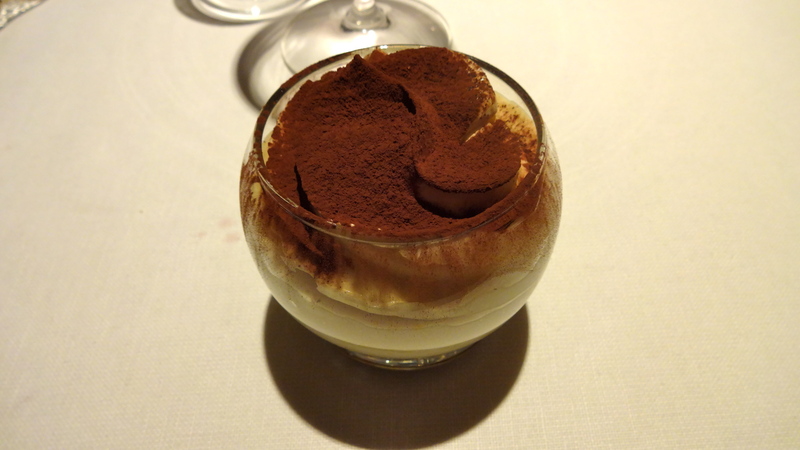 Their version of tiramisu was airy and light but still as satisfying as the original version would be. 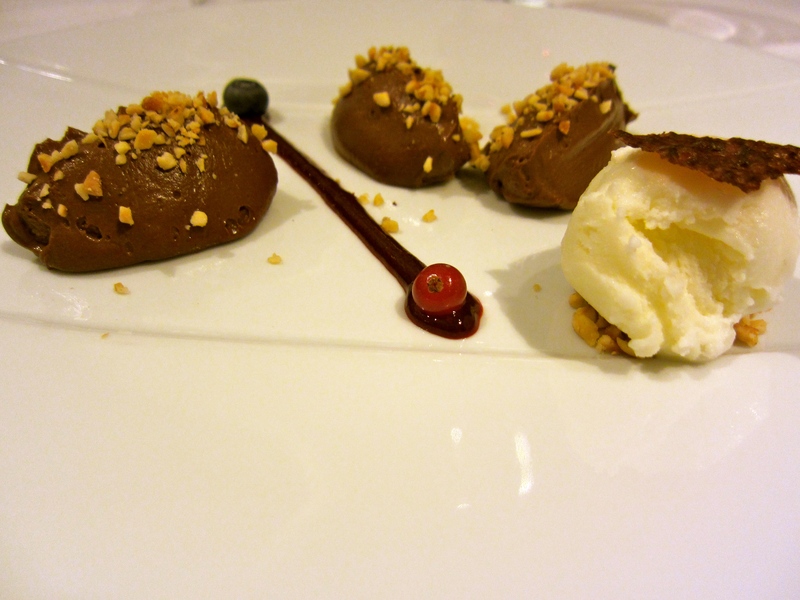 I highly recommend Ora d’Aria for a fine dining experience but at a reasonable price.